It’s April and spring has finally sprung! The sun is shining and flowers, bursting with color, are pushing up through the warming ground. Life is insanely busy, but for just two minutes go ahead and jump off the merry-go-round and take a deep breath. Appreciate nature’s miraculous offerings of the season. Now, do you think you can do this for a couple of minutes every day? I’d like you to try it! It’s so easy to get caught up in our busy, aggravating, stressful and sometimes even mundane lives that we don’t always take the time to appreciate the beauty in our children; nor do we take the time to teach them to appreciate the positive in their own lives. “As a parent, what am I most grateful about today?” Is it the sweet kiss that you got as you left for work? That, just this once, your teenager didn’t argue with you? That siblings helped each other with homework? Some days the answer will come easily to you, in fact you may have a long list that makes you feel grateful. However, on more stressful parenting days, feeling appreciative of your child may be somewhat more challenging. These are the days it is most important to stop for a moment to ask yourself the question AND then really search until you find a meaningful answer. Doing so will help you keep a clear perspective on what is most important in your life as a parent. No matter how upset, angry or frustrated you may be right now, you can find the beauty in your relationship with your child when you stop and look for it. You simply have to take the time to stop and do so. “What was the best thing about today?” Was it that we had outdoor recess? Am I happy because I made a new friend? Did I have my favorite lunch? Did the teacher give me a compliment? Did I get my homework done really quickly? Of course, as with parents, kids will have an easier time on some days than on others finding the ‘best’ in their day. If it was a difficult day, it will be harder for your child to find the good in it. This is when it is most important for you to help your child find something positive about the day—don’t accept ‘nothing’ for an answer! You probably realize that being a good parent is hard work largely due to regular challenges from the very child you are trying to raise! So take a little time each day to appreciate the true beauty in your child (and also teach your child this skill). This will help melt away the frustrations you may feel as you go through the tough parts! Dr. Susan Bartell is America’s #1 Family Psychologist. Her latest book is The Top 50 Questions That Kids Ask. 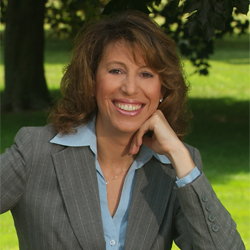 You can learn more about her at www.drsusanbartell.com.